It’s been almost exactly one year since I first tried PR Lotion. 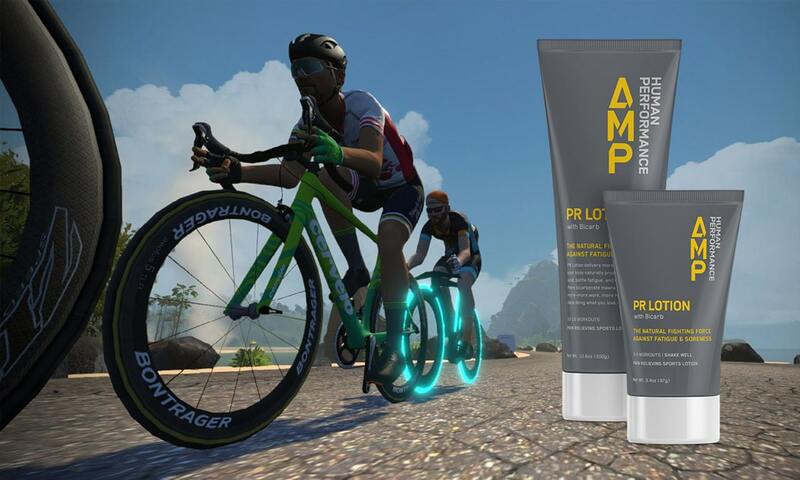 Since I last wrote, PR Lotion has undergone a re-branding/repackaging and I’ve ridden close to 9,500 miles, many of them with PR Lotion on my legs. Seems like a good time for a follow-up on what has become my favorite training aid. Note: if you didn’t read the series of articles I wrote last year you can get them here. They include a lot of specific performance numbers which may be of interest. PR Lotion is a tool for the human body that delivers bicarbonate directly to your hardest working muscle groups. Bicarbonate is what your body naturally produces to neutralize acid, battle fatigue and reduce soreness. More bicarbonate means the ability to do more–more work, more results and more days doing what you love. PR Lotion sidesteps the ingestion issue: instead of eating it, you rub it on your legs. No gastrointestinal distress. To put it plainly: I now have two essentials for every hard ride: water and PR Lotion. I rub the lotion in 15-30 minutes before the ride begins. It is worth noting that the application is the worst thing about PR Lotion: it’s rather sticky stuff, and takes some effort to rub in sufficiently. I rub most of it into my quads from knees to waist, but I may also rub more into my hamstrings and calves if I am anticipating an especially hard effort (or if I squirt out too much lotion). Once it is all rubbed in I wash my hands, which takes a few cycles of soaping and rinsing. 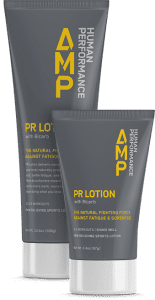 For me the effects of PR Lotion have been clear and simple: it reduces muscle burn during hard efforts. Pain levels are difficult to quantify precisely, but I would say it knocks down the burn by 10-15%. Now, if I was doing specific interval workouts I might find that I can complete those intervals with less suffering. 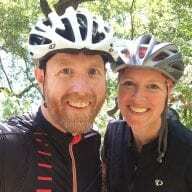 But in my typical training ride situation (competitive outdoor group rides or indoor Zwift races) this means I just go harder and set new personal bests. Training harder means faster gains. It also means improved performance in the races I love! When I like something, I tell others about it. 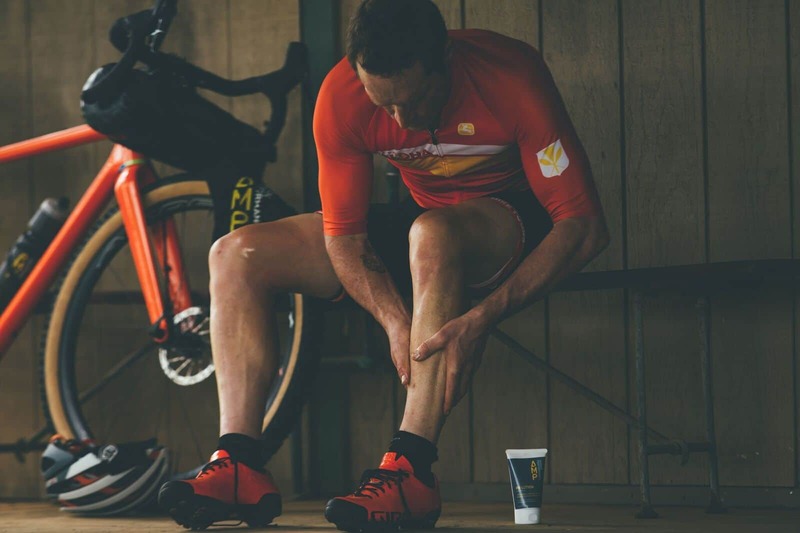 That’s why I’m writing this post, and that’s why I’ve shared tubes of PR Lotion with my local cycling buddies. Most who have tried it continue using it today. Two mountain biking friends even started shaving their legs just so they could apply it more easily… now that’s saying something! Buy PR Lotion here. Shipping is free on orders over $25, so if you buy the big tube (good for 10-15 workouts, regular price $35) it will ship free. Plus it comes with a 60-day money back guarantee, so what have you got to lose? Use code AMPHOLIDAY to get 30% off for a limited time! 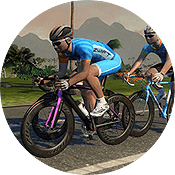 Speaking of losing, I need to go warm up for a Zwift KISS race. ☺ I rarely podium, but PR Lotion helps me push hard every time. See you out there! Any idea how to get some in the uk? It’ll likely be early 2020 when Amp Human Performance gets approval in Europe. In the meantime the best way to do it is to ship it to a friend in the US and sweet talk them to not use it all before they ship it to you.